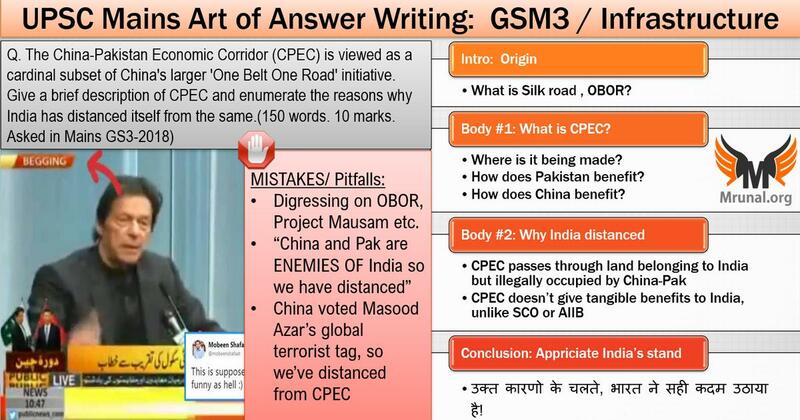 [Solved] Mains-2018/GSM3: Why India distanced from China-Pak CPEC? Body-2: Why India distanced itself from CPEC? Although this question is more suitable to the syllabus of GSM2, but UPSC asked it in GSM3, which again proves the Intellectual Bankruptcy of UPSC Examiner. So, first read the CPEC topic from Vajiram Faculty Pavneet Singh’s IR Book. In the ancient times, the Chinese used to trade with India, Arabia, Persia, Rome and other Mediterranean nations using a land route known as ‘the silk road’. The aim of China’s One Belt One Road (OBOR) project is to create an economic land belt and a maritime link to redirect Chinese capital to develop infrastructure of various countries in Asia, Europe, and Africa, and thereby expand Chinese influence over these countries. 2013: The President of China, 11th Xi Jinping launched the One Belt One Road (OBOR) project. Under CPEC plan, China will invest in industrial power stations, roads and railways from Kashgar in Xinjiang (China) to Gwadar port (Pakistan) in the 3000 km long belt. Pakistan will become a regional trade and energy hub. China’s vulnerability to oceanic piracy will be reduced, Chinese goods can be easily sent to South, Central and West Asia, Chinese troops can be deployed towards Middle East through CPEC and Gwadar port in a much faster manner. The project passes through Gilgit-Baltistan in PoK, which belongs to India but illegally occupied by Pakistan. Further, Pakistan illegally ceded over 5000 square kms of India’s territory in this region to China under China-Pakistan boundary agreement (1963). China is also building A) large dams (7,100MW Bunji Dam and the 4,500MW Bhasha Dam) and B) military bases in this region, both affect India’s riparian rights and strategic interests. Still, If India joined CPEC, it would legitimize the territorial claims of China-Pakistan over the land that actually belongs to India. India didnot distance itself from Shanghai Cooperation Organisation (SCO) where both China and Pakistan are members. Because, SCO provides (nuclear and gas) energy security for India, and entry in Central Asian markets for Indian products. According to Economic Survey, India needs $4.5 trillion worth of investment in infrastructure. India didnot distance itself from China-led Asian Infrastructure Investment Bank (AIIB) because it helps mobilizing part of this investment. However, CPEC doesn’t have any tangible benefits for India, unlike the aforementioned SCO and AIIB. Because, as the name itself suggests “CPEC” is a bilateral agreement between China and Pakistan. CPEC doesn’t give India an access to Afghanistan or Central Asia through Pakistan, because that’ll require signing additional pacts but Pakistan’s Military-Jihadi complex may not let it materialize. Even the proposed TAPI Gas pipeline from Turkmenistan to India via Afghanistan and Pakistan is also not finished on time due to the obstinate nature of the same state and non-state actors in Pakistan. From UNGA, SCO to SAARC, India tries to engage with its neighbors in constructive manner, however our strategic priorities can’t be ignored for that projects don’t have large tangible economic and commercial benefits for India. CPEC passes through Pakistan Occupied Kashmir (PoK), which belongs to India. and therefore India will not be part of the CPEC or OBOR. Above content is 600 words, but you can compress it within 150 words limit. The China-Pakistan Economic Corridor (CPEC) is viewed as a cardinal subset of China’s larger ‘One Belt One Road’ initiative. enumerate the reasons why India has distanced itself from the same. Observe that “A” is only a preamble to the premise, the actual questions are “B” and “C”. So you’re not asked to explain OBOR in great length, or connect CPEC with OBOR or digress towards how Chinese building ports in SriLanka, Myanmar and elsewhere affects Indian interests in the Strings of Pearl strategy and how we are countering it through Project Mausam. “India could get benefit number A, B and C by joining CPEC. However, we’ve not joined it for reasons D, E and F”. That’s correct but you can’t fit that in 150 words. Better focus on D, E and F only, instead of elaborating A, B and C.
At the same time, very jingoistic language should be avoided that “China and Pakistan are enemies of India hence we’ve not joined CPEC”. Nowhere in the official documents and Indian government websites it is mentioned that (presently) China and Pakistan are “our enemies”. “China repeatedly vetoes India’s attempt to get Masood Azhar declared a global terrorist at UN. Until China rectifies its stand, we have not engaged with them at CPEC.” This is a weak point, because then India should also quit SCO and AIIB in protest. IDSA’s research paper level logical reasoning is not required in a question of 150 words. Some aspirants (particularly “IFS-first-preference-walla”) get emotionally attached to International Relations (IR) so much that large chunk of their study-time is spent scavenging IDSA webpages only. They forget that IR is worth only 50 out 250 marks in GSM2 (and an occasional “non-syllabus” questions like CPEC in the GSM3 due to UPSC Examiner’s intellectual bankruptcy). So, for a topic that is 20% of the GSM2 paper, you should not spend 80% of your time. And, even if your DAF form says “IFS first preference”, there is no guarantee that UPSC Interview panel will grill you for 30 minutes only on the IR topics, beyond the cliched “what is the difference between Embassy and Consulate”. यानि की पूरा दिन idsa मे ही नही निकालना चाहिए. 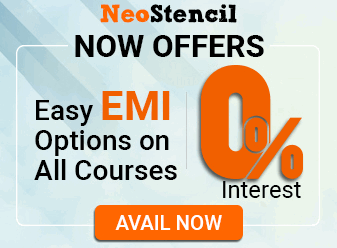 सिलबेस के दूसरे विषयो की भी पढ़ाई करनी चाहिए. [Same “80-20” goes for RajyaSabha TV debate also]. Thank you so much sir very well explained, just a doubt what’s DAF? Detailed Application Form. Be curious. Google before asking. Sir i eagerly wait for ur every post, very informative. Learned a lot. Thanks.